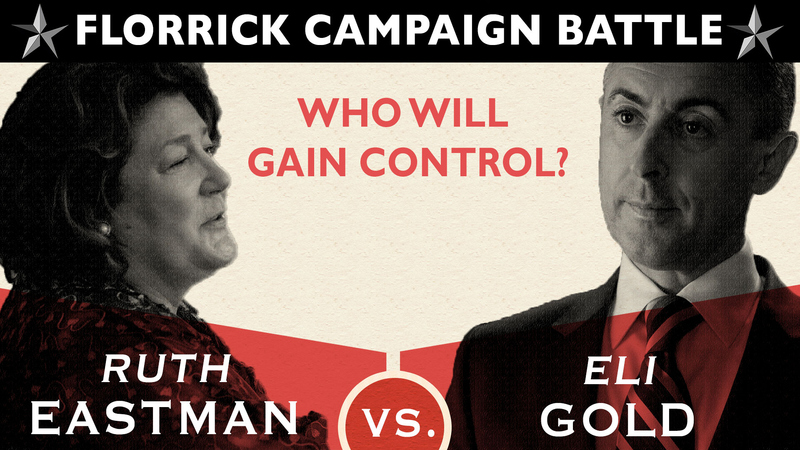 Eli Gold Vs. Ruth Eastman: Who Will Control The Florrick Campaign? Eli Vs. Ruth: Welcome To The Main Event! Stepping into the ring is Ms. Ruth Eastman, a high-profile presidential campaign strategist who will be leading Peter Florrick's race to the White House. In the other corner is Mr. Eli Gold, Peter's long-time, quick-witted sidekick, friend, and past campaign manager.